The word omnivore denotes an animal that eats both plants and animals, including insects. 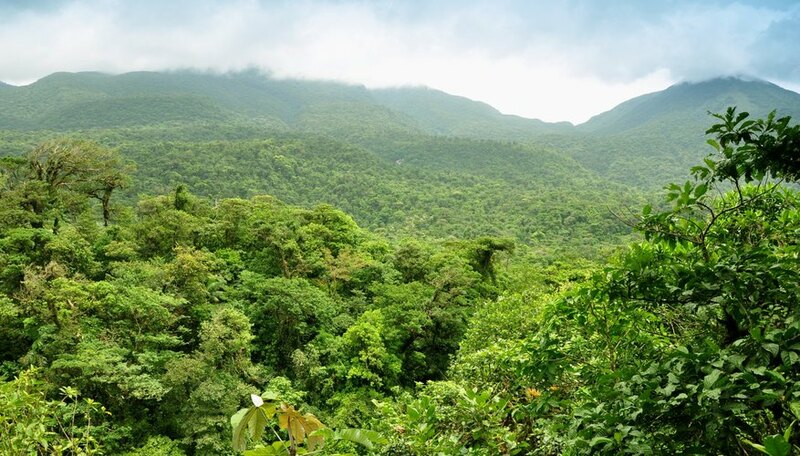 The tropical rain forest is filled with all kinds of animals and plants, and many of the inhabitants of the tropical forests will stalk and eat some of both varieties to survive. The typical diet of the tropical forest omnivore includes plants, fruits, nuts, pollen, a variety of insects and sometimes even honey. A peccary is a pig-like mammal that lives in the tropical forests of both South America and the rain forests of Africa, India and Asia. 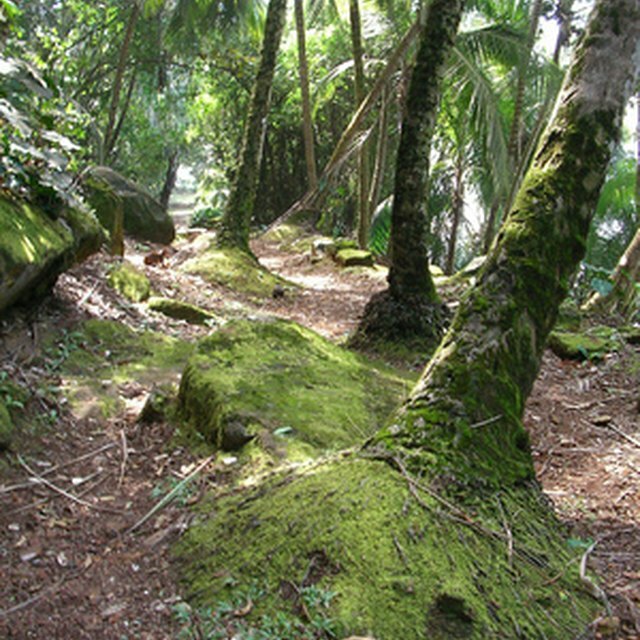 Their food sources are buried in the soft, wet forest soil and consist of roots, bulbs, insects and small animals. The holes left in the ground by foraging peccaries often fill with water and provide habitats for bug larvae, tadpoles and even small fish. 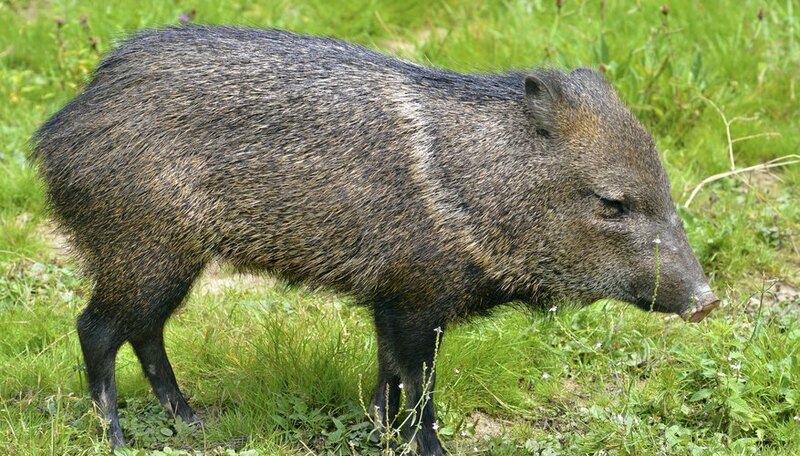 The peccary family includes warthogs, wild boars and the endangered babirusa. The chimpanzee's favorite foods are fruits, leaves and foliage. They forage in nomadic groups and their constant movement gives the plants time to regenerate. Monkeys have a similar diet but stay mostly in the high forest canopy and don't compete with chimps for food. Their diet can also include bark, insects and honey. 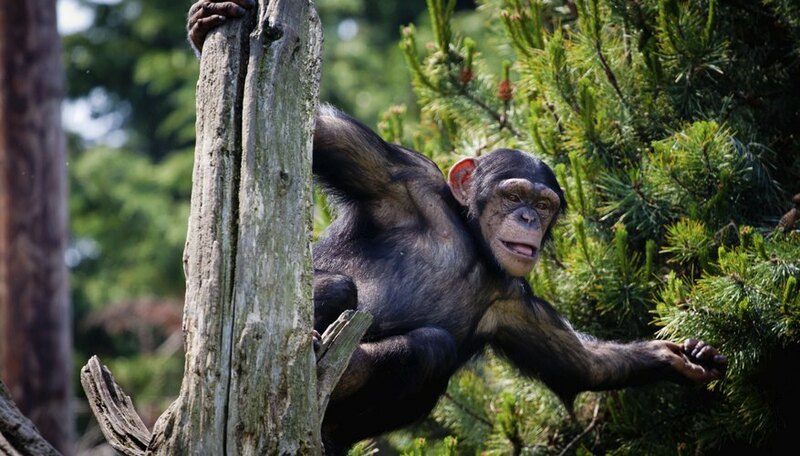 The chimpanzee rarely hunts other small forest animals like pigs and antelopes. They inhabit the tropical forests of western Africa. 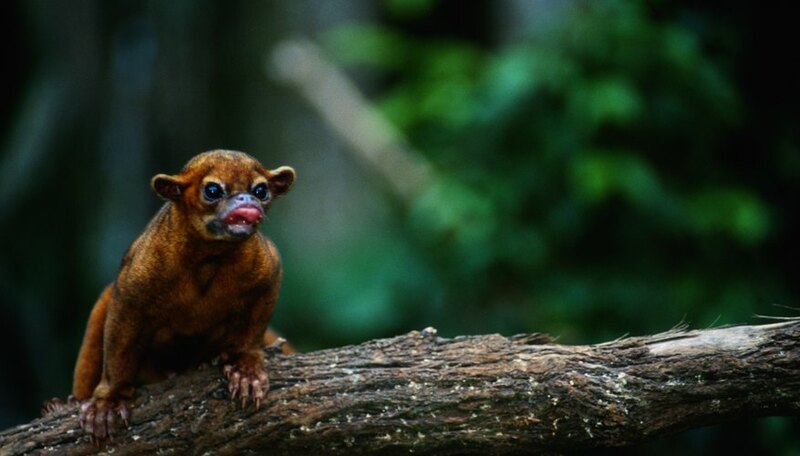 The kinkajou is exclusively a resident of the Amazonian rainforest, living primarily in the forest canopy. The name for this animal is derived from an Indian word that means "honey bear." This little omnivore not only eats honey, but also insects, fruits, nuts and smaller mammals. It has few predators itself, but can fall victim to birds of prey and humans. The slender loris is a small primate that only lives in the tropical rainforests of India and Sri Lanka. It is about the same size as a chipmunk and lives most of its life in the trees. It is classified as an insectivorous omnivore, meaning that its diet consists mostly of insects but can also include slugs, flowers, leaves, eggs and nestlings. These animals are currently endangered due to their limited habitat being destroyed and superstitions regarding their body parts, which some believe to have magical powers or medicinal properties. Northwestern University: What is an Omnivore? Ambrose, Kristy. "Animals That Live in the Tropical Forest That Are Omnivores." 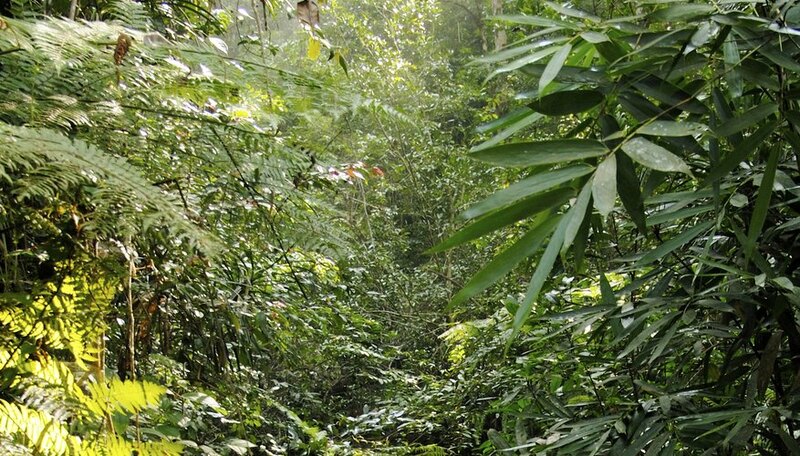 Sciencing, https://sciencing.com/animals-live-tropical-forest-omnivores-8211375.html. 25 April 2017.